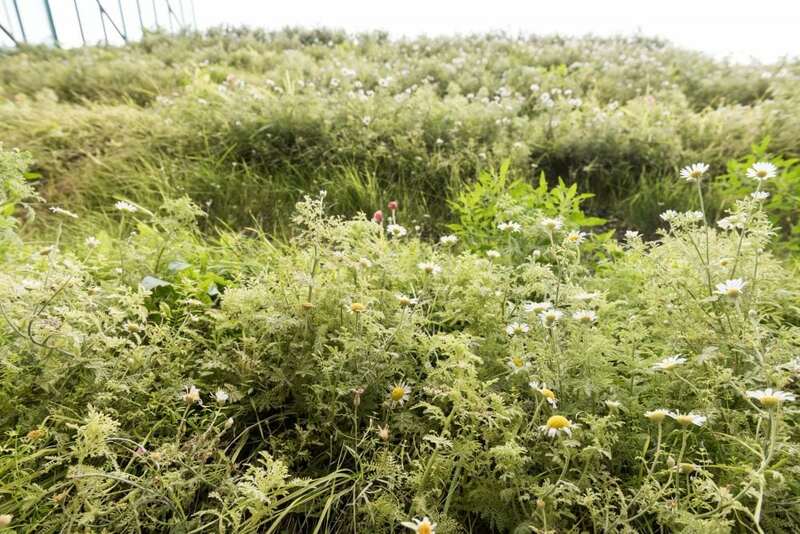 An innovative scheme which hides scaffolding behind flowers and strawberries has found its first project to shield. 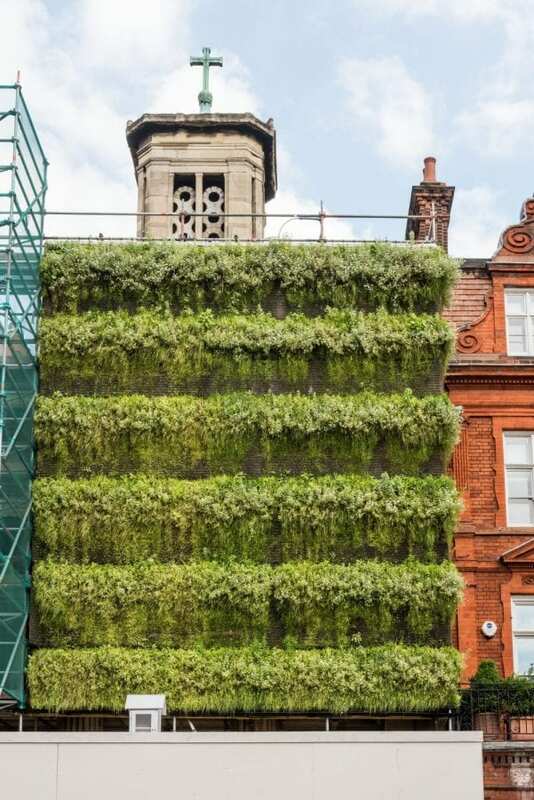 St Mark’s Church in Mayfair is currently undergoing a £5 million makeover, and to conceal the project and improve the environment Grosvenor has teamed up with building company Arup to unveil an innovative ‘living wall’ which could reduce air pollution by 20 per cent. Seeds were planted late in June and the 80 square metre front has now flourished into a wall garden made up of a mixture of grasses, flowers and edible strawberries. As well as hiding the scaffold and builders behind the wall garden, noise pollution has been reduced by up ten decibels. 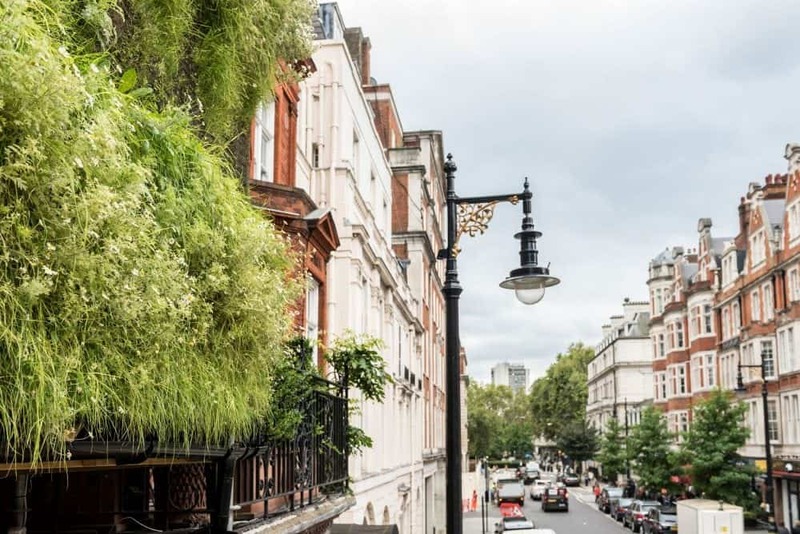 Mark Tredwell, development director, Grosvenor, said: “This is a great initiative and is in line with our long-term ambition to improve the environmental sustainability of the buildings across our London estate, reducing emissions by 50 per cent by 2030. “As the estate continues to adapt and evolve we want to ensure that the impact on the community is positive.